Looking for a little inspiration as to how to start your new year off in a memorable way? 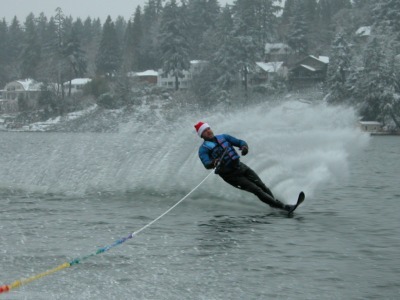 Here are three “only in Lake Oswego” ideas to jump start 2012. Walk around the lake. You know it’s going to a be a good year when you can clock in a 7-plus mile walk/run through a scenic setting highlighted by lake views and perhaps a hot chocolate or latte you nab along the way. Tom and Sandi Swinford brave the elements to kick off New Year's Day by skiing on Oswego Lake. Do you have a favorite way to greet the New Year in Lake Oswego? I’d like to hear about it. And I’d like to wish all of you a very Happy New Year! Start the year off by subscribing to my blog–just click the “sign me up” button in the top right hand column. 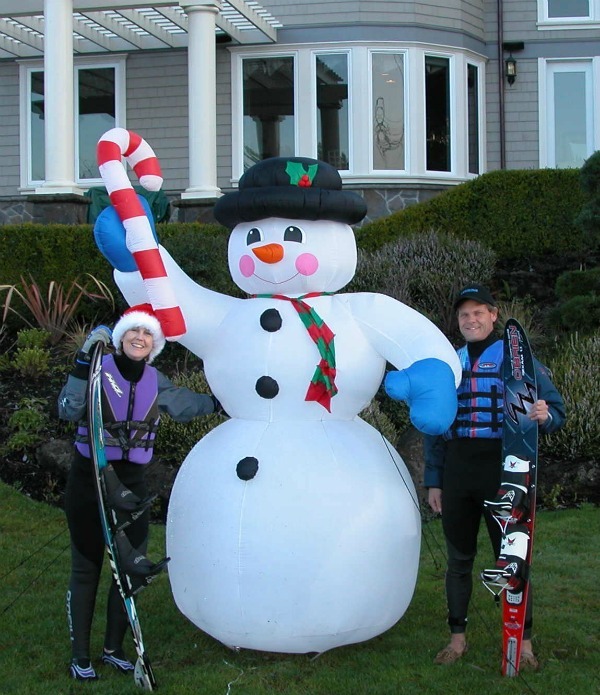 This entry was posted in Lake Oswego lifestyle and tagged Lake Oswego Oregon, New Year's Day in Lake Oswego Oregon, water skiing in Lake Oswego Oregon. Bookmark the permalink. My name is Kathryn Sedman, I’m British and trying to trace Tom and Sandi Swinford who were extremely kind to me on a visit to Phoenix, Arizona several years ago. Could you pass this email post onto them please?? I never thanked them enough and would like to invite them to Amsterdam, The Netherlands where I live now. Thank you.